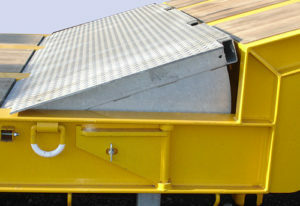 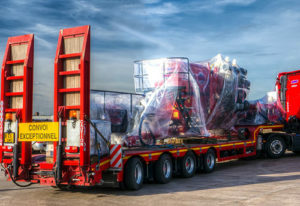 Designed and built to take the arduous operating conditions of the construction industry comfortably in its stride, the Montracon machine carriers are plated at 48tonnes gtw. 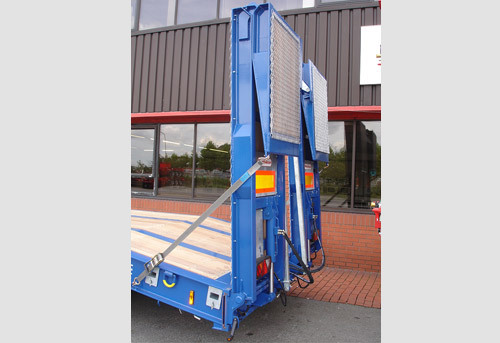 It is available with a host of features designed to increase its versatility – to carry the widest range of machinery and equipment. 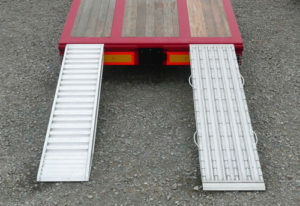 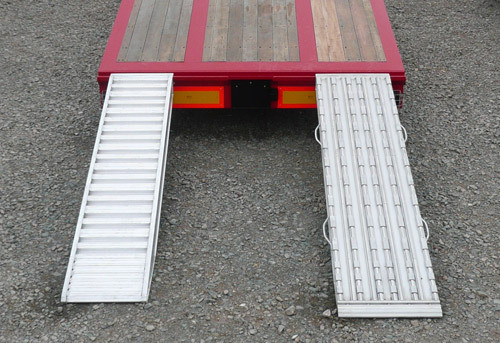 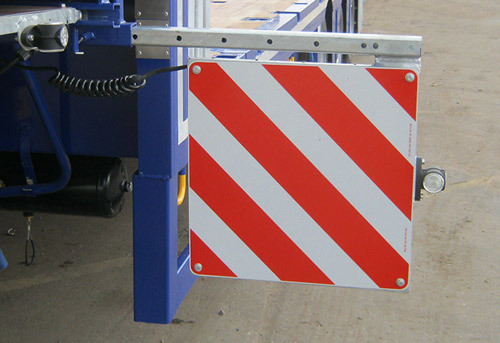 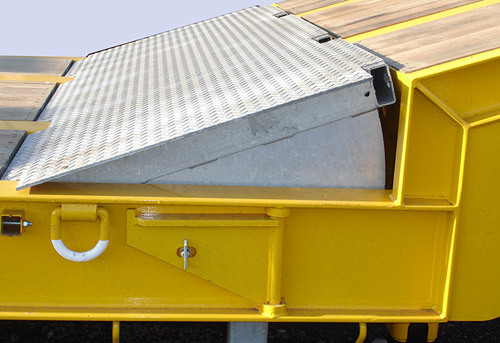 To speed loading/unloading, it comes as standard with power pack, hydraulically powered lead on ramps at the rear, air powered neck ramp, retractable legs at the rear and lashing rings/cleats. 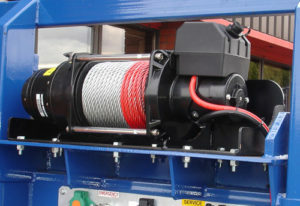 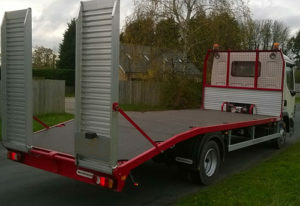 Options include lifting axle, headboard, timber outriggers and winch. 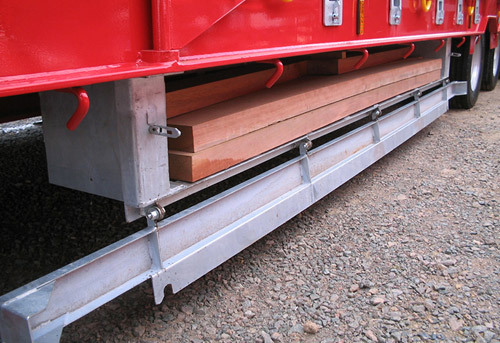 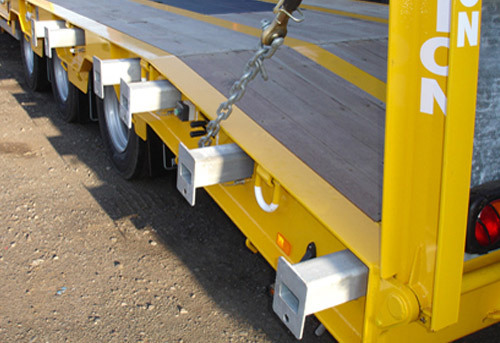 Montracon engineers are always available to discuss the development of bespoke trailers to meet specific operating requirements. 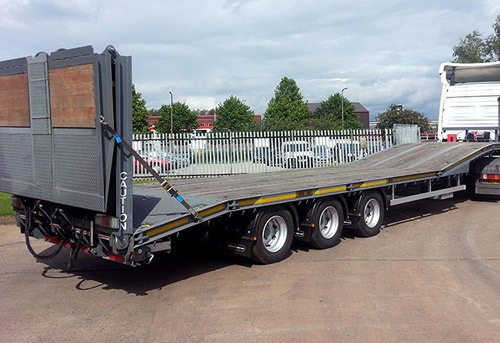 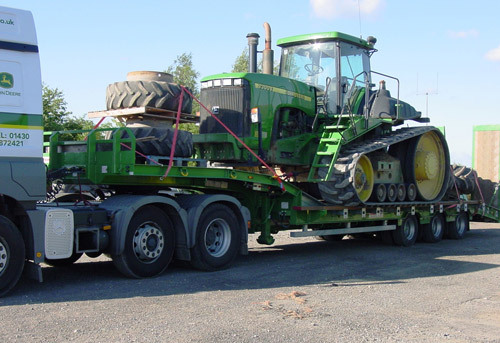 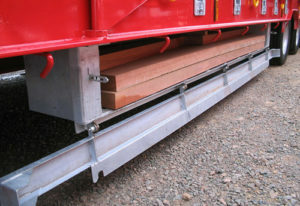 This trailer has been designed to offer the ideal trailer to customers wanting to transport machinery from one place to another. 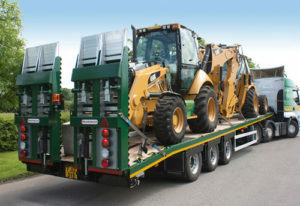 The hauling capacity of the Montracon machinery carrier meets both CAT1 and in part CAT2 legislation, making for a really practical solution to heavy plant and machinery transport.